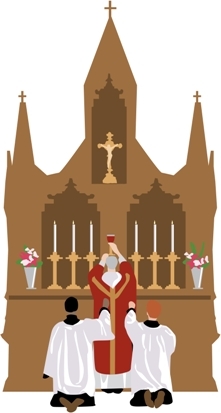 An Altar Server is a member of the assembly who assists the priest and deacon during the Eucharist and other liturgical ceremonies so that the liturgy can be conducted with grace and reverence. Servers should be active and full participants in the celebration with the understanding that they are first and foremost members of the assembly. The server expresses this by singing, praying and keeping silence along with the rest of the assembly. Children from fourth grade and up and invited to become Altar Servers.